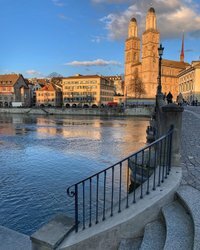 Lovers and happily married couples can spend an unforgettable Valentine’s Day in the City on the Limmat. And with the following ideas, February 14 will be particularly romantic. Where else can you give chocolate instead of flowers on Valentine’s Day? Exactly! And these stores stock a particularly delectable selection. Oh dear – forgotten Valentine’s Day? No problem: at the Main Train Station, various stores – such as Blumen Krämer – are open until 8pm. 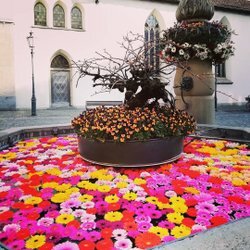 Sweethearts discover adorable gifts while strolling through the Niederdorf. The boutiques in the Old Town are characterized by their uniqueness. Sweethearts can fortify themselves for the day ahead with sweet waffles, fresh pancakes and a lavish brunch. 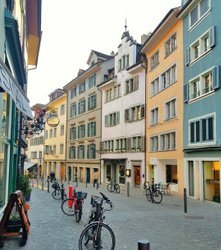 Enamored gourmets enjoy the most beautiful candlelight dinners in these romantic restaurants situated around Zurich. Snuggling up together over a hot cup of tea or coffee and enjoying a slice of cake – this is possible in these cozy cafés. Valentine’s Day is a time to relax and indulge yourself. And what better place to do so than at Zurich’s most beautiful spas? A classic: an evening at the movies with your loved one. One of Zurich’s many movie theaters is guaranteed to have the right film to suit your taste. Couples will spend dreamy nights on cloud nine in these boutique hotels.